Hello everyone. While my Thanksgiving guests usually leave quite stuffed, I like to send them off with a treat so show that I am grateful they chose to spend their day with us. This year, I'm sending them home with a Thanksgiving gift - some delicious home baked bread and since I don't want you to feel left out, I've included the recipe below. 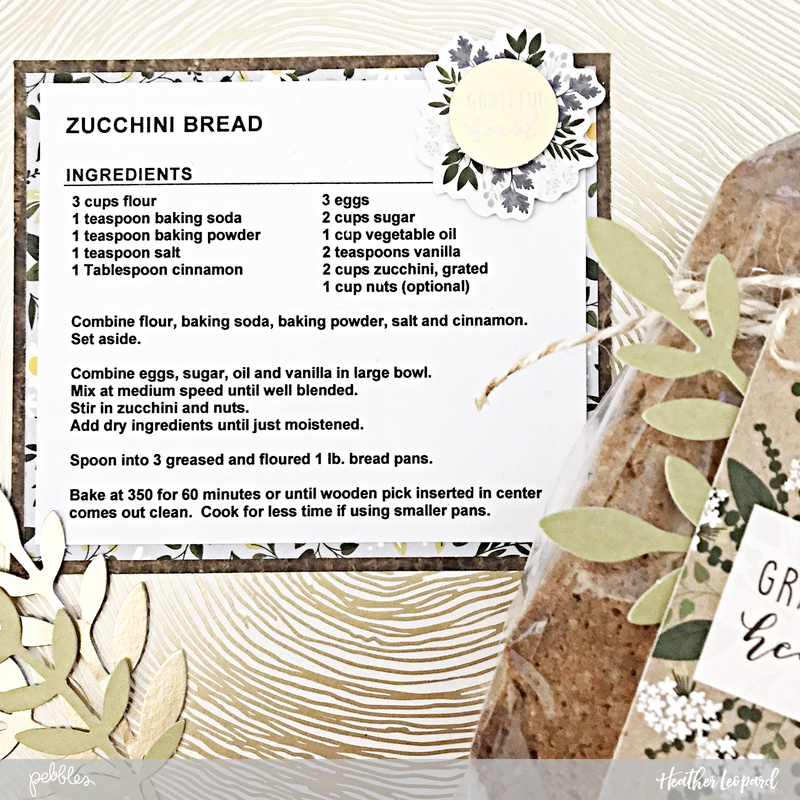 Gather your Thanksgiving gift supplies and follow the recipe to make your very own delicious zucchini bread. Set it aside while you prepare your packaging. 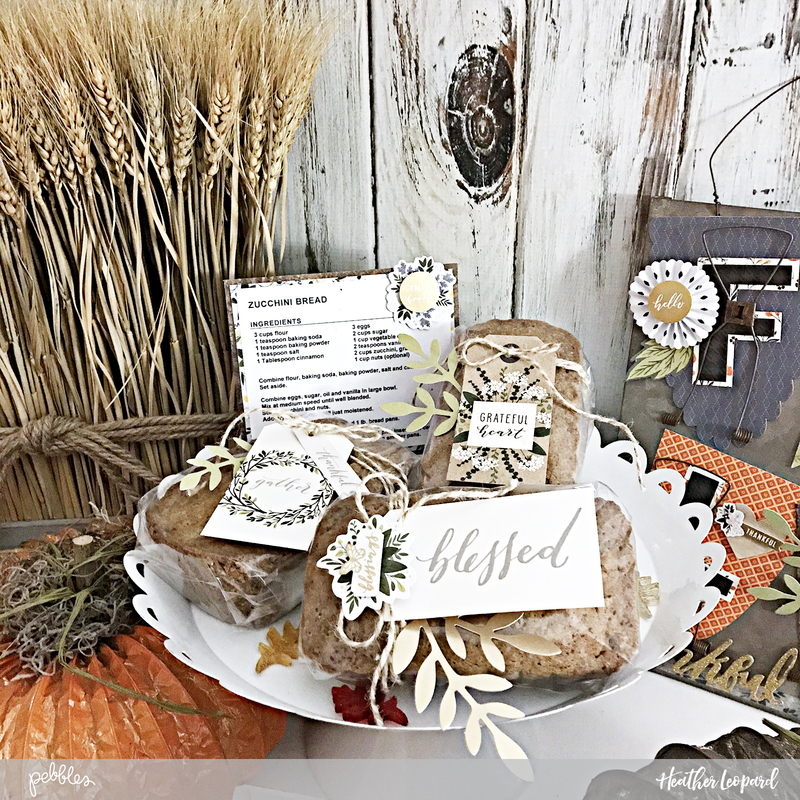 The Heart of Home collection has the best tags and die cuts for these delicious bread gifts. 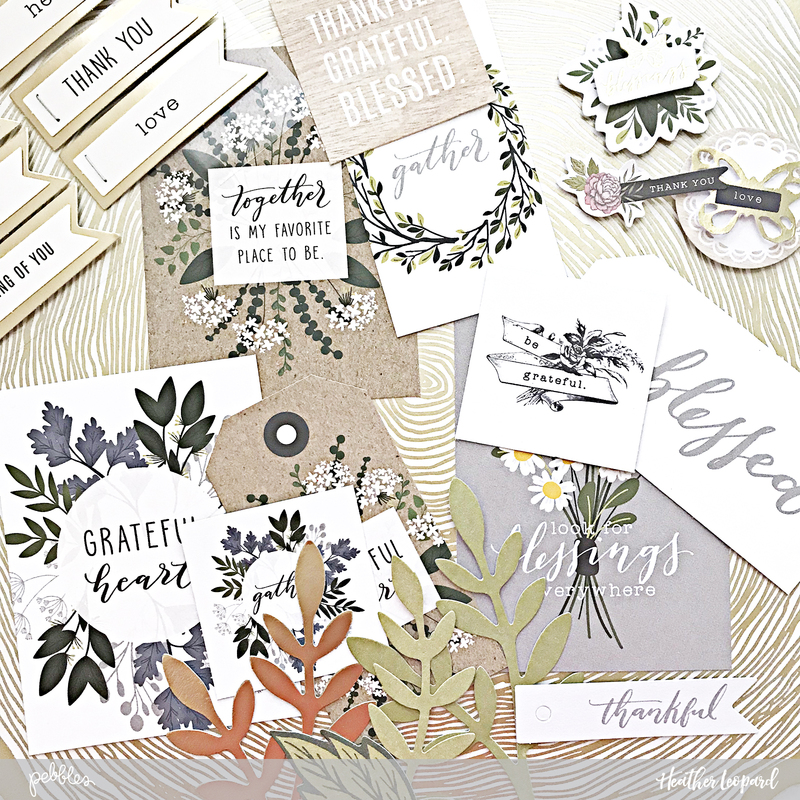 They are especially great because they already have sentiments pre-printed on them so it makes this project easy peasy! Pick your favorites and start layering them. Hello wonderful Pebbles friends. 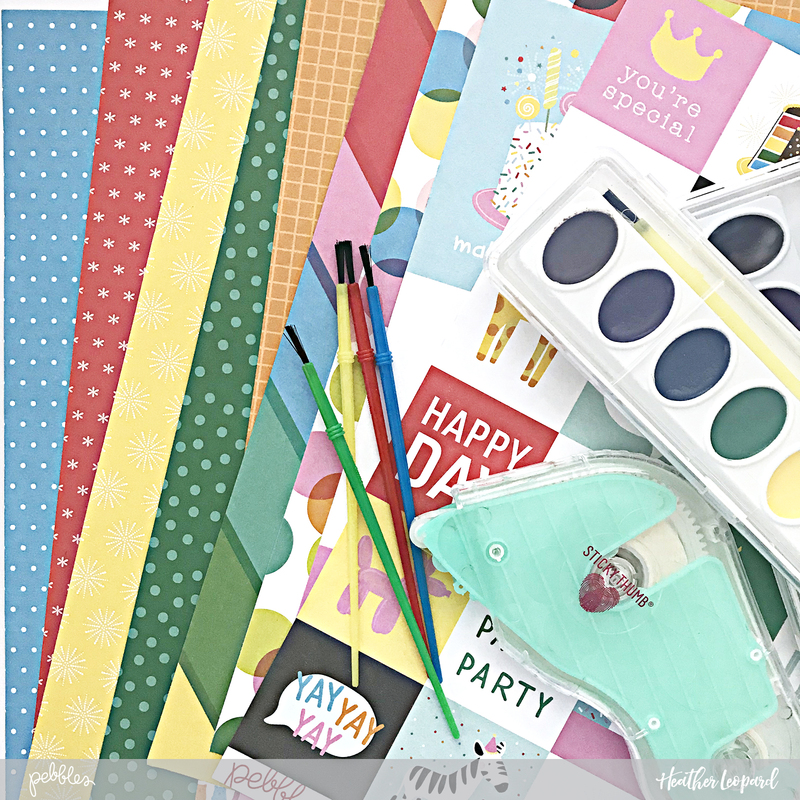 Today I'm sharing DIY Art Party Birthday Invitations and Party Favors I made for my daughter's birthday. 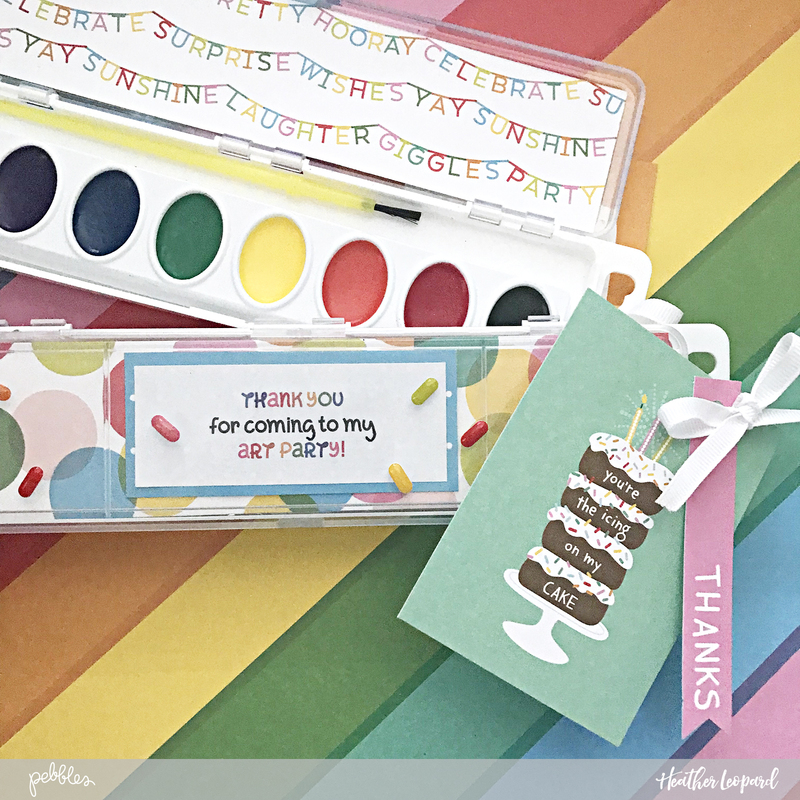 The Happy Hooray collection was a perfect match to this art themed rainbow party! Check back in 2 weeks for the rest of the party decor setup! 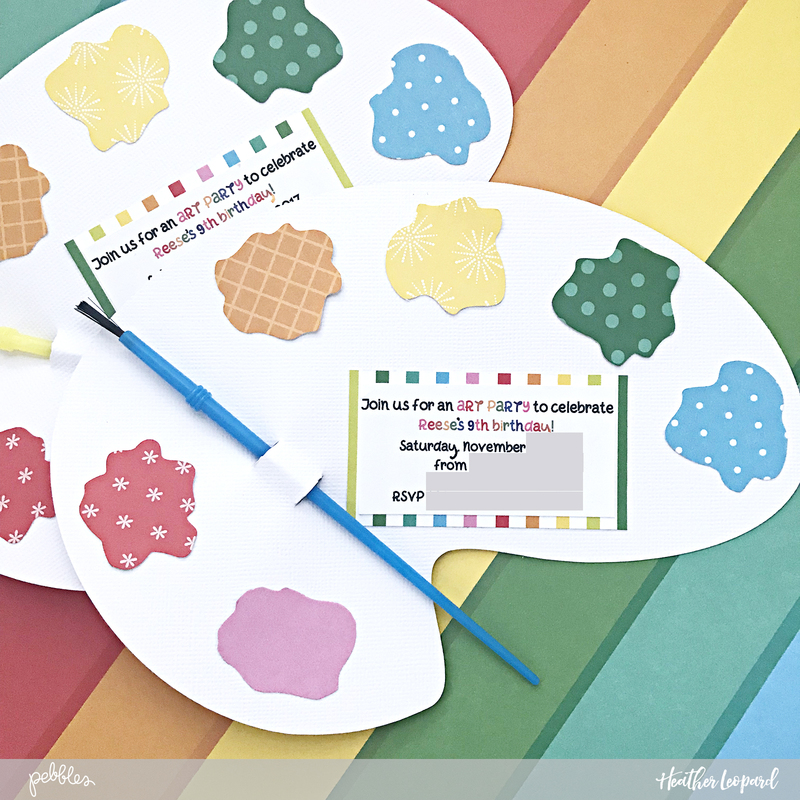 Determine the size you want to cut your invitations and then you can either print your party details on the cardstock before you run it through your die cut machine or leave enough space to add the party details later, like I did. I was able to cut two at a time from one 8.5" x 11" cardstock paper. 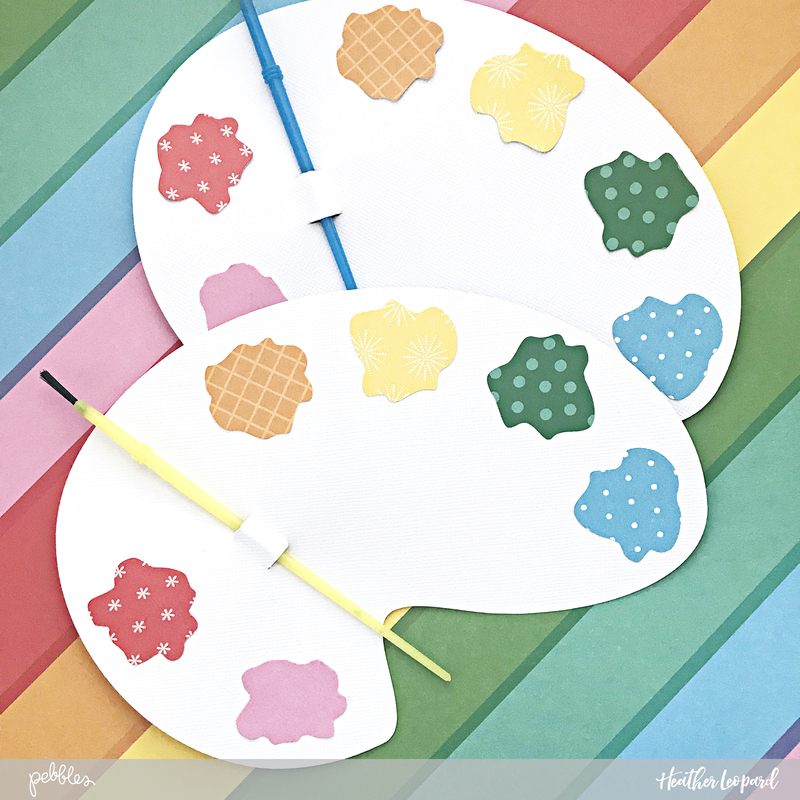 Cut the painter's pallet from the cardstock. Make sure you measure and line your cut file up so it cuts around your party details where you want it to cut. NOTE: I included cut lines so you could insert a paint brush so keep that in mind when you are printing and cutting. 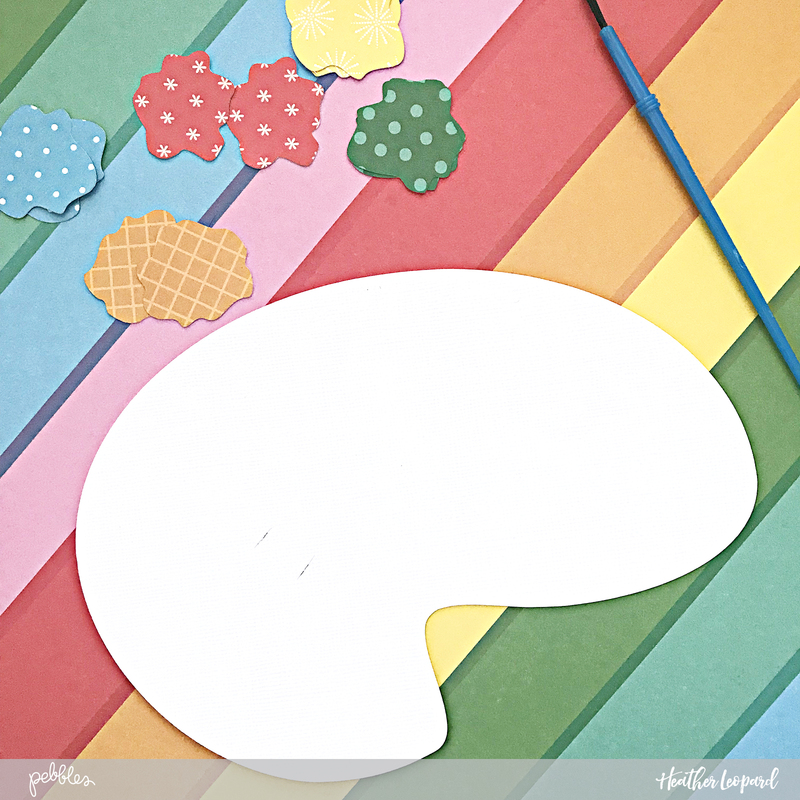 Cut the paint pieces from your patterned paper or colored cardstock. Adhere them around the edge and around your party details. Insert a toy paint brush and deliver to friends. By the way, I found a package of 30 paint brushes in the party section of my local hobby store. Great buy with coupon! 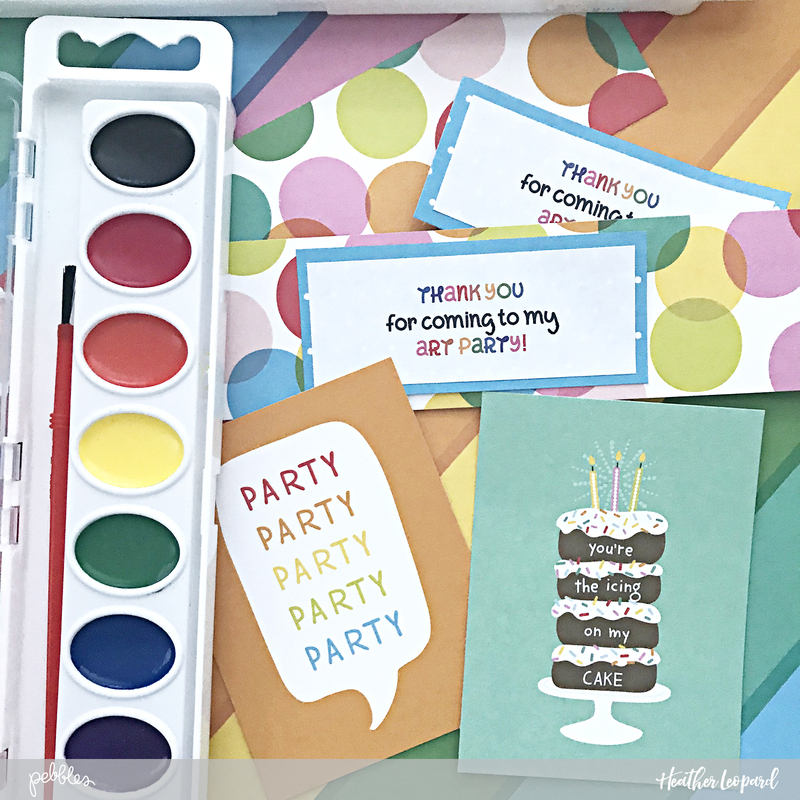 Each little artist will walk away from the party with their own painting but here's an idea to keep their creative juices flowing - watercolor party favors. You can whip these up quickly and easily are their are sure to be a hit! 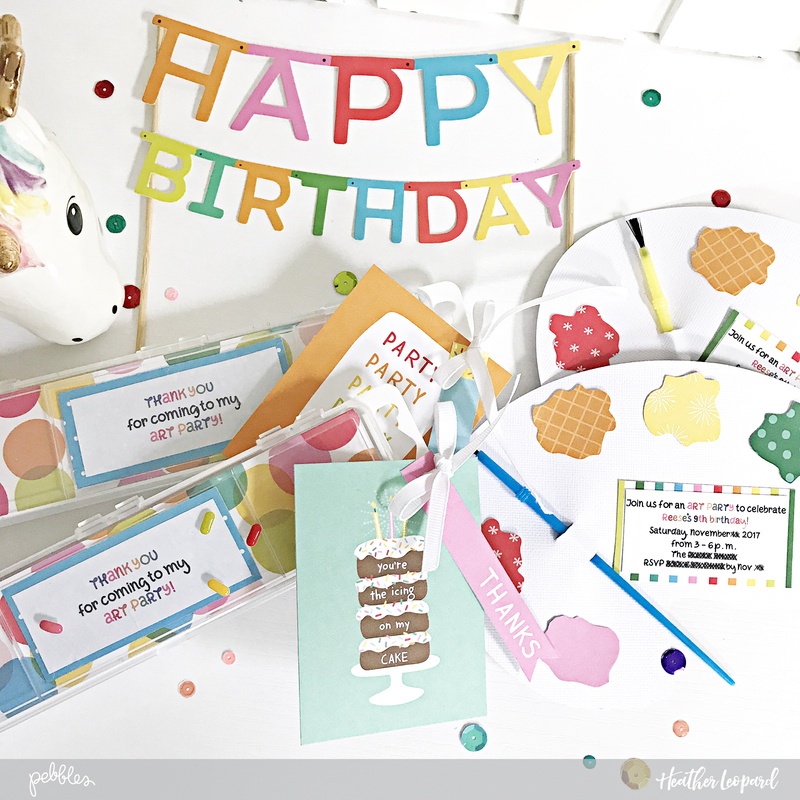 You can even have the birthday honoree write personalized thank you cards and all you have to do is insert them in the water color cases. Cut a strip of patterned paper to fit inside the lid of the watercolor case. 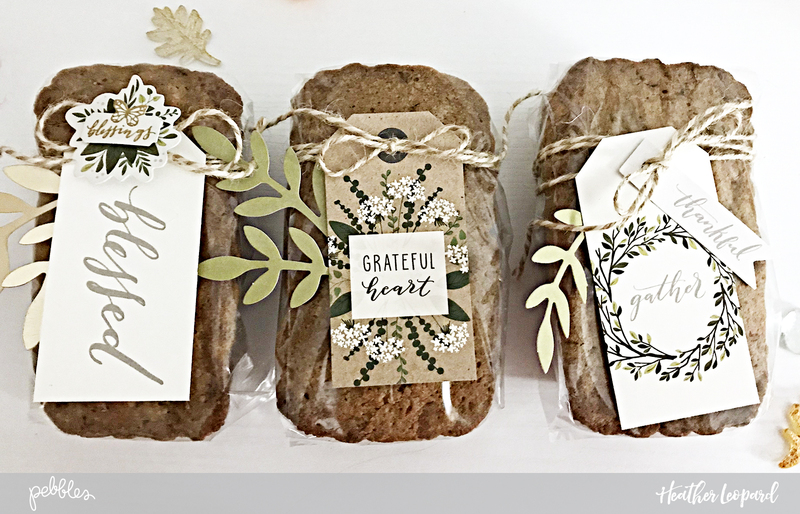 Add some cute tags and a personalized note to the package. Tie with a ribbon.